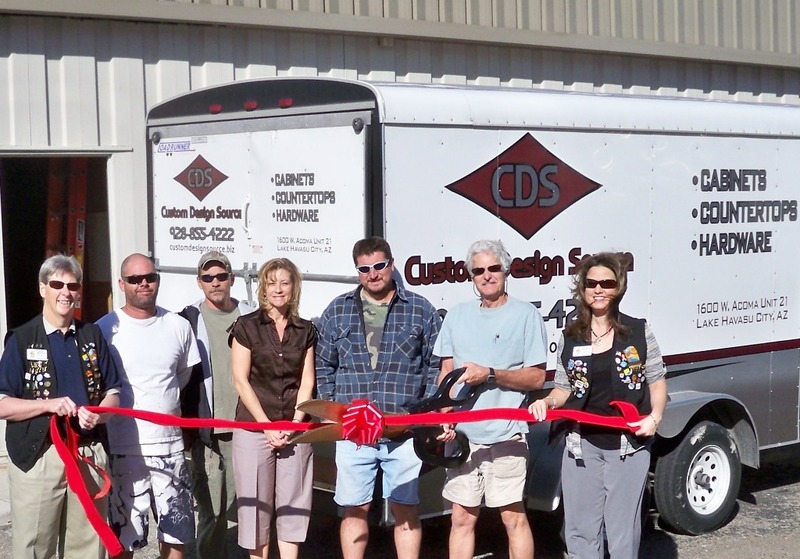 Custom Design Source celebrated 10 years with the Lake Havasu Area Chamber of Commerce with a ribbon cutting ceremony by the Chamber Ambassadors. Custom Design Source has been creating custom cabinetry for residential and commercial projects for 21 years. On hand for the ribbon cutting are; Chamber Ambassador, Rick Broker, Andy Coy, Wade Brown, Pam Raney, Mark Piacitelli, owner David Conner and Chamber Ambassador, Amy Sugamele. For more information, visit their showroom at 1600 West Acoma Boulevard, Unit # 21 or call, (928) 855-4222.